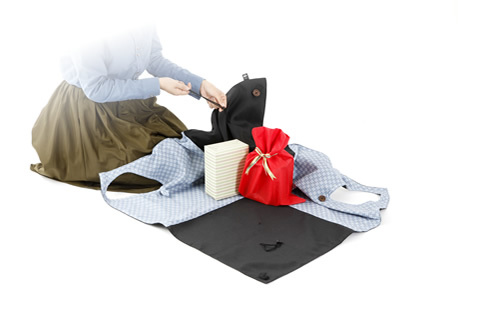 Kaori is a multifunctional wrapping bag that can easily wrap various sized items. Since you can put your baggage in a spread like a furoshiki, you can easily wrap those that can not be carried with a normal bag. How to use is also very simple. Shopping and other, usually as a shoulder bag. 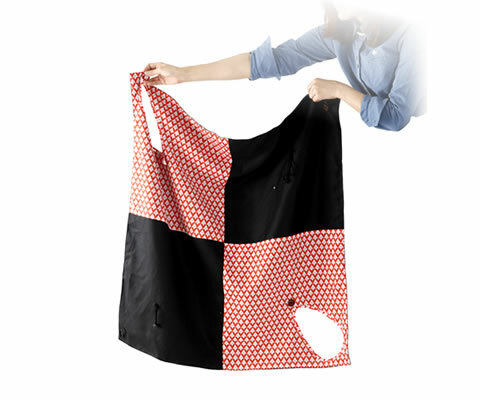 When traveling, it is a big success as a sub-bag that can be fixed firmly to a carry case. Even if Mama carries baby goods, it is laying. Various scenes, how to use it. It folds compactly, so it is convenient for carrying. When it spreads it turns into 17 liter large capacity bag. 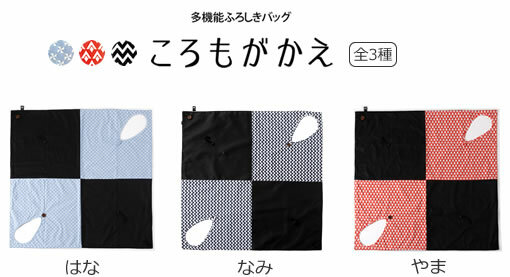 Japanese pattern of cute lining, 3 patterns in all. How you use is up to you.